Kristi Mühling is a professional Estonian chromatic kannel player who specialises mainly on contemporary and classical music. She is a member of regularly performing ensembles such as Resonabilis and Una Corda. Kristi Mühling is also the founder of the chromatic kannel specialty at the Estonian Academy of Music and Theatre and has worked there since the establishment of the specialty in 2002. Naoko Kikuchi is a koto player, born in Sendai, Japan. Her repertoire includes both classic and contemporary koto music; she is a versatile artist who participates in a variety of projects, such as in “Move the international Berlin” (a project of the Berlin Philharmonic) or even at the new edition of “Barcelona” by Freddie Mercury & Montserrat Caballe, but also in the “Page of Madness” for which Gene Coleman composed music for silent films. 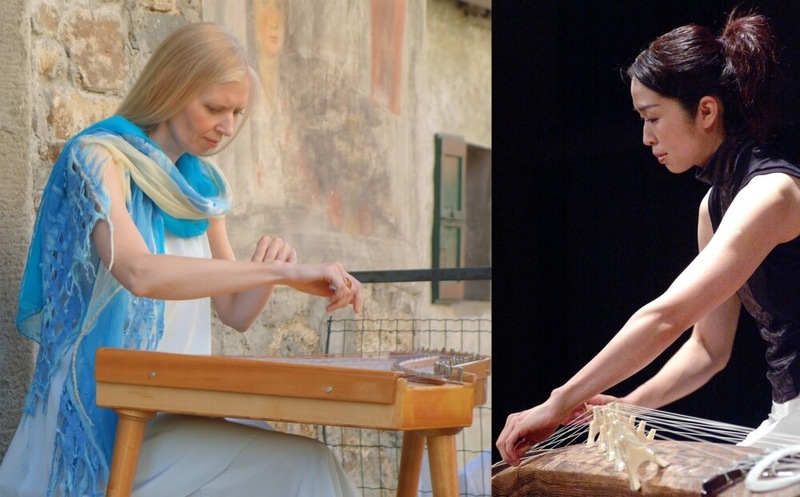 Kikuchi is the vice president of Seigen Koto School in Akita, Japan and also a member of Asian Art Ensemble (Berlin) and IEMA (International Ensemble Modern Academy) in Frankfurt.